His recusal effectively halts review of a controversial contract between Nestle Waters and Fryeburg Water. 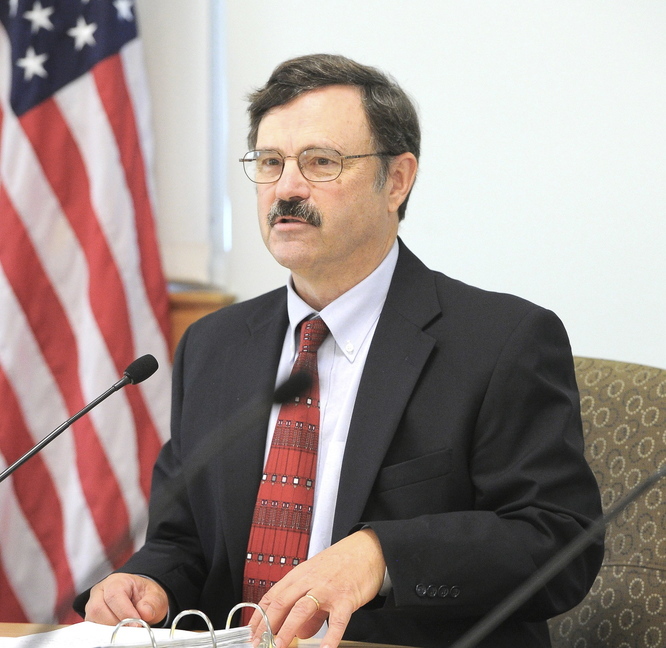 The chairman of the Maine Public Utilities Commission has recused himself from a controversial case involving the owner of Poland Spring water and the family-controlled utility in Fryeburg that supplies it with water. Thomas Welch’s recusal effectively suspends the case of Nestle Waters North America, because the PUC now lacks the required quorum to make a ruling. The commission will be unable to make a decision until a commissioner retires or the Legislature approves legal changes to allow the appointment of alternates. Welch faced pressure to remove himself from the case because he was Nestle Waters’ attorney until his appointment to the PUC in March 2011. While at the Pierce Atwood law firm, he advised Nestle Waters during a transaction in 2008 that is now central to the case: the purchase of a company led by a member of the Hastings family, which also controls the Fryeburg Water Co., the privately held utility that provides water to residents of Fryeburg and neighboring East Conway, N.H.
Nestle Waters sells the water under its Poland Spring brand. The case has drawn national attention because the two other commissioners also had ties to Nestle Waters. One, Mark Vannoy, recused himself in 2012. The other, David Littell, was a partner at Pierce Atwood a decade ago, although he did not work on behalf of Nestle Waters. Public Advocate Timothy Schneider, whose office represents ratepayers in PUC proceedings, was also with Pierce Atwood, and represented Nestle Waters in the current case. He also has recused himself. In a statement released Tuesday, Welch said his decision was based not on his past legal work for Nestle Waters, but on the fact that while he did that work he became privy to privileged information that may be relevant to the current proceedings. Welch proposed that the case docket remain open, pending legislative action to allow appointment of alternate commissioners. “The possibility of such legislation, as well as the passage of time (because commissioners do not serve forever), may provide some relief to litigants seeking a decision in this or similar situations,” Welch’s statement said. Members of the Legislature’s Energy and Public Utilities Committee are considering two draft bills that would address the problem. “It is essential that we take action to mitigate this issue,” said Rep. Diane Russell, D-Portland, who is developing one of the bills with input from Welch. 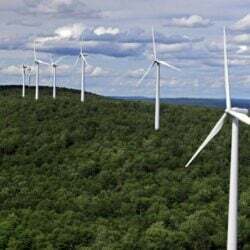 “People in Fryeburg want to have their day in court to speak and have their concerns heard without this conflict of interest. “I give Tom (Welch) a lot of credit for trying to find an effective way forward,” she said. William Black, the deputy public advocate who is representing ratepayers in the case, approved of Welch’s recusal. “I think that the decision was probably a necessary development and it upholds the principle involving the neutrality of the process,” Black said. He did not object to keeping the case docket open, because all parties would save money by not re-arguing the case. “I don’t think ratepayers will be harmed by leaving the docket open,” he said. Fryeburg Water Co. and Nestle Waters North America did not respond to requests for comment. Fryeburg Water Co. has been seeking PUC approval of a proposed 25-year contract with Nestle Waters, a subsidiary of Switzerland’s Nestle SA, the world’s largest food and beverage company. Under the contract, the water company would get a stable, predictable flow of cash for water that Nestle pumps from its spring, while Nestle would cement control of a key supply of spring water, possibly paving the way for investment in a multimillion-dollar bottling plant in Fryeburg. The contract can be extended for as long as 40 years. While the case remains in limbo, the two companies’ current contract will remain in effect. That contract can be canceled or renegotiated by either party with five years’ notice. Fryeburg Water Co. gave notice five years ago, after Nestle Waters bought Pure Mountain Springs, the pass-through company that members of the Hastings family set up with a partner to allow them to sell water from the local Wards Brook aquifer at a higher price than the utility is allowed to charge. That pass-through company was led by John Hastings, but his father – family patriarch and Fryeburg Water Co. President Hugh Hastings – maintained power of attorney for the five years. John Hastings has testified that his father made all decisions during that period. The pass-through company bought water from Fryeburg Water Co. at its ordinary rate – about a tenth of a cent a gallon – and sold it to Nestle Waters at a much higher rate. Nestle Waters has refused to disclose what that rate was, and at a hearing on Sept. 3, John and Hugh Hastings testified that they don’t remember the rate. Opponents have wanted to learn what Nestle Waters was willing to pay the pass-through company, as a way of determining the fair value of the water that Nestle would pump from Fryeburg’s springs for the next 25 to 40 years. Fryeburg Water Co. representatives have argued that it’s irrelevant to the current proceedings, and that Nestle Waters’ presence has greatly benefited the utility’s ratepayers by providing revenue that helps pay for infrastructure and keeps rates low. Since 2008, when Nestle Waters bought Pure Mountain Springs, it has been paying the low utility customer rates. It would continue to do so under the proposed 25-year contract. Under the proposed contract, Nestle also would continue paying lease fees to the water company, while making a guaranteed minimum payment of about $144,000 every year. Nestle Waters’ payments account for about 40 percent of the Fryeburg Water Co.’s operating revenues. Taylor said he is pleased with Welch’s decision to recuse himself, but he questions whether it should invalidate some prior rulings on motions aimed at leveraging Nestle Waters to disclose information about its past relationship with Pure Mountain Springs.